If your children were given a choice to be a superhero with super powers or just have common courage, what would they choose? My guess is that any child would choose to have superpowers. Superheroes can fly,and shooting lasers out of their eyes. Their only response to danger is: BRING IT! Sounds pretty good, even to us, Dads. But all of that comes with a price. Aside from the fact that all that power makes a suprehero a target for the worst evil around, there is another element to all that power: Super powers are not so super apart from virtue. We have copious modern examples of superheroes abusing their power, but we also have a great Biblical lesson. Consider Samson. His miracle birth and empowerment by the Spirit of God enabled him to accomplish incredible feats and gave him superhero status. He ripped up city gates with his bare hands and brought death to Israel’s enemy, the Philistines, with the jawbone of a donkey. But how did Samson handle all his power? He took God’s favor for granted and he assumed he could do whatever he pleased. People feared God’s power through Samson, but Samson himself didn’t fear God. In the end it took Delilah’s nagging and a razor to bring him back to his senses. Samson was certainly brave in the face of death, but he lacked the greater part of courage. C.S. Lewis says: “Courage is not simply one of the virtues but the form of every virtue at the testing point, which means at the point of highest reality.” In contrast to Samson, we might look to the courage of another who faced the the most memorable of all Philistines. 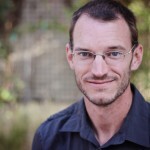 Young David feared God and put his faith into action. Unlike Samson, he didn’t think,“I’ve got this.” He wasn’t given any particular super strength or power. He didn’t even wear armor! Instead, he said to both Goliath and his fellow Israelites, “God’s got this.” He was armed with courage and confidence in the Lord. Greater than David and all others is, of course, Jesus? Being God, He is the ultimate superhero, but he “emptied Himself taking the form of a bond-servant, and being made in the likeness of men.” He didn’t come displaying his omnipotence. Instead, he came in humility and displayed true manly courage. He defined virtue as likeness to His Father, and he stood for that virtue at all cost. In weakness and death He overcame ALL evil. 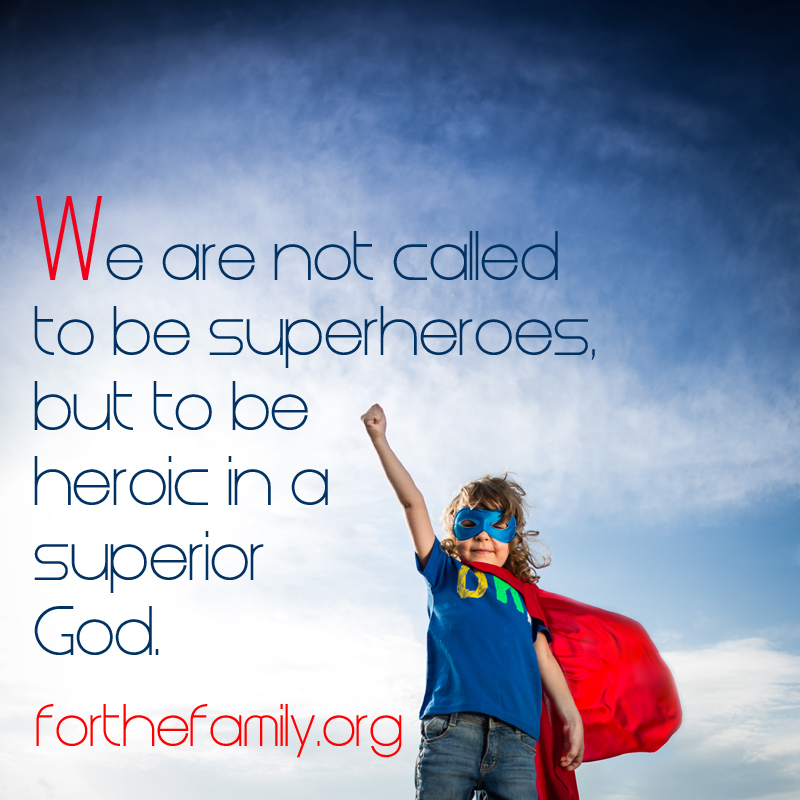 We are not called to be superheroes, but to be heroic in a superior God. And yet our children’s imaginations are easily captured by the superheroes of the day and the electrifying powers they possess. They are fascinated by the wonder of superheroes, and are naturally wired to long for that kind of transformation. We all are. So let us capture their imaginations with a life lived in Christ– power in humility, love, submission, compassion, and obedience to God, the Father. We are ordinary people called to live according to a divine nature. Our children may think that heroism is found in superhero powers or the disguises they wear. We have the privilege of showing them that the greatest hero, Jesus, took on the form of sinful man, and laid down his power that we might be made like Him– the most courageous man that ever lived. As a kid it was the powers and costumes (I didn’t think that deep) and as a result guys like Jesus, Samson and David immediately had my attention. As I grew older I realized it was the flaws and weaknesses the characters had that made them interesting. To this day I’m fascinated by the paralels between modern superheroes and biblical figures. Just tonight someone commented on how Superman was lame because he’s so good and perfect and I thought “I’ve heard the exact same thing said about Jesus”. Kids might not get it as kids but they’ll grow into it.